Boy Hair Changer - Best Hairstyles for boys and for man on photo! Are you dreaming about cool hairstyle? It's time to change yourself with Boy Hair Changer! Boy Hair Changer is the best hairstyles photo editor spcial for boys and for man. Boy Hair Changer - add hairstyle on photo and try new awesome hair style! Boy Hair Changer - change hairstyle on photo in 5 seconds! 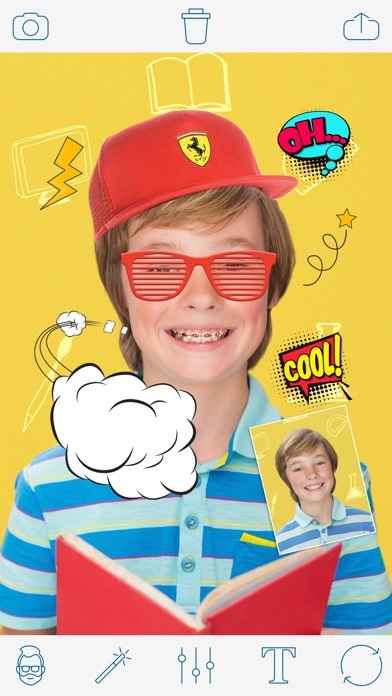 Boy Hair Changer - add cool boys stickers on photo! Boy Hair Changer - the best hair salon for boys to become a cool man. Boy Hair Changer - hair salon designed especially for boys who love cool style and hair changer games or hair photo studio apps! Boy Hair Changer - try awesome hairstyle for FREE! 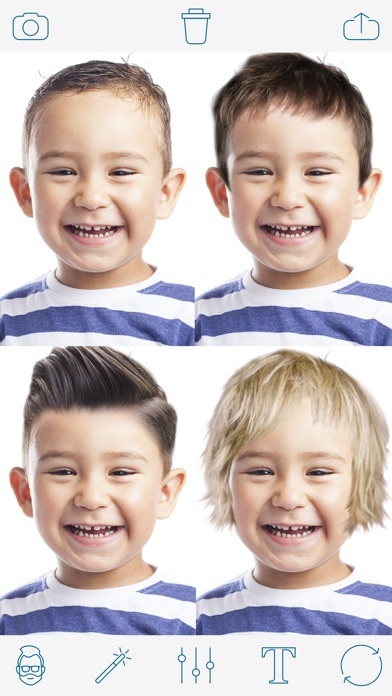 Boy Hair Changer - share your cool hairstyles photos with friends! 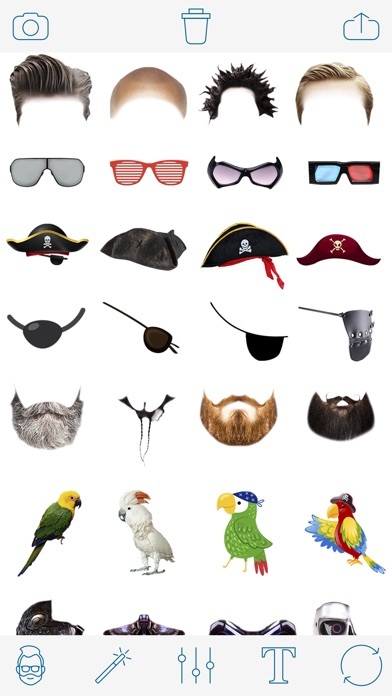 Boy Hair Changer for boys has a tons of super stickers for the best boy selfie photo: 45+ cool new hairstyle 2017 45+ awesome boys glasses photo stickers 50+ amazing pirate stickers for boys, pirate beard stickers, pirate parrot on photo, pirate hat stickers 15+ cyborg face stickers and robot mask stickers on photo 50+ comics photo stickers, wow stikers, boom stickers, dust, cloud stickers 250+ braces stickers, boys piercing stickers, boys hat stickers, lips stickers, shadow, pomade stickers... Boy Hair Changer is very easy to use 1. Take a new photo or select one from your gallery 2. Select the sticker and filter using Hair Changer photo editor tool 3. 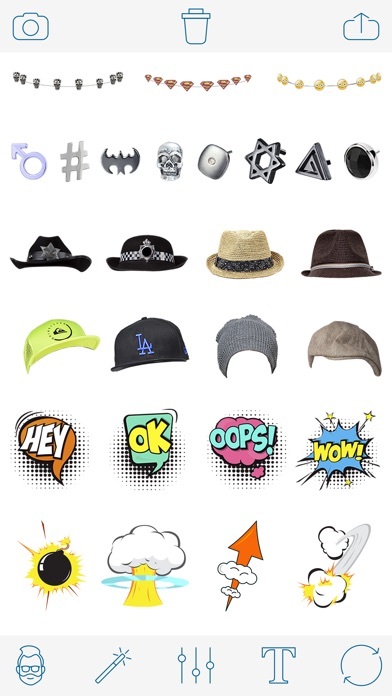 Select other wonderful boys stickers which you want to add to the photo 4. Zoom in, Zoom out, rotate boys stickers to make photo perfect 5. Share your photos with new hairstyle with your friends and family in Facebook, Instagram, Twitter, WatsApp and other social networks. 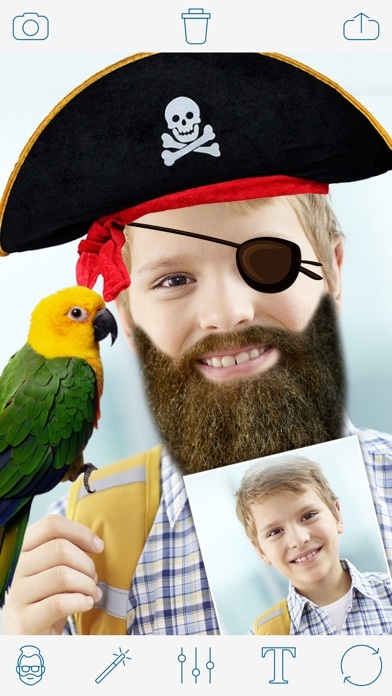 Boy Hair Changer has a huge collection of cool boys hairstyles Boys hairstyle Casual boys hairstyles Curls boys hairstyles Crazy boys hairstyles Cool boys hairstyles Modern and stylish professional hairstyles Long hair boys hairstyles bold hairstyle Boy Hair Changer is the best way to become a real cool man Create cool photo with awesome hairstyle Use amazing photo effects like pirate hat and pirate parrot to look like a real pirate! 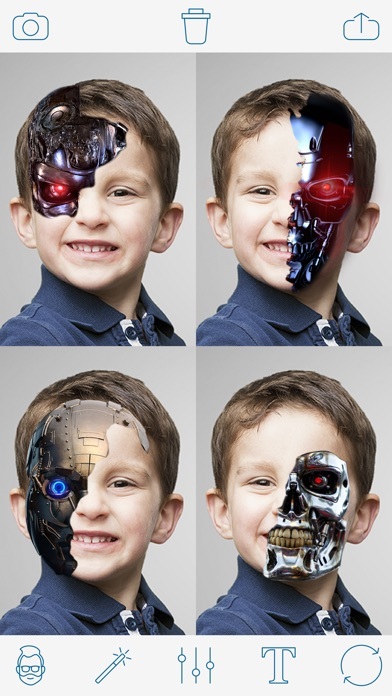 Add real cyborg face stickers to finish the image of cyborg Try awesome boys braces for boys on photo! Save and Share new super cool photo Why does Boy Hair Changer is better than other hair salon games? You can change yourself! Not a model Find new image and new style using easy photo montage Make awesome photos and surprise your friends Say 'I'm a real man!' to the whole world! Boy Hair Changer is absolutely FREE No pay content No registration No coins Everything is free Enjoy Boy Hair Changer! Become a real cool man with Hair Salon for boys on photo! Try Boy Hair Changer right now absolutely FREE!